High quality Turkish area rugs for your home decor. 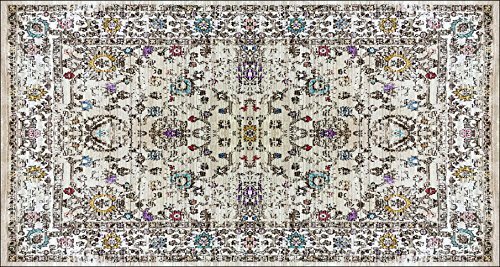 You can easily pick a beatiful rug for your decoration from our wisely patterned, colorful prints. No matter you like country, tarditional, retro, western, rustic, asian, oriental, bohemian or vintage style. We have unique geometric, checkered, striped, solid, distressed, floral, classic, tribal, braided and fringed designs. Besides we have variety of nice color options including but not limited to neutral, earth, natural and brillant colors. Forget about old carpets you know. Chiara Rose chenille area rugs are brand new alternatives of traditional hand-made silk rugs. They are far inexpensive with respect to luxury antique Iranian kilim's. However they are as soft, shiny and decorative as Tabriz carpets. Unlike tufted, polypropylene rugs it is lightweight yet soft enough. We try to offer you best carpets ever with affordable prices. Great rugs with multiple usage areas. You can use large sizes in your living room, dining room, bedroom, nursery, kids' and teenagers' room or guest room in your house. You can use runners in your bathroom, kitchen, hallway and entry. Thanks to it's slip resistant leather backing you can safely lay it over all kind of floor like; wood, hardwood, laminate, vinyl, tiles, ceramic and stairs. You can choose it flooring your office. It is suitable for indoor and outdoor use. Thanks to its unique woven fiber technology, Chiara Rose Area Rugs are not heavy and thick like traditional rugs. They don't cause problems under your doors. Still because they firmly grip floor, you can safely vacuum clean. Extra durable & easy-care. They are machine washable. You can wash it in any washing machine at home by yourself at max 30C or 65F. Please don't tumble dry. Hang dry in shadow. Manufacturer: ESF HOME TEXTILE LLC. Publisher: ESF HOME TEXTILE LLC. Studio: ESF HOME TEXTILE LLC. If you have any questions about this product by Chiara Rose, contact us by completing and submitting the form below. If you are looking for a specif part number, please include it with your message.